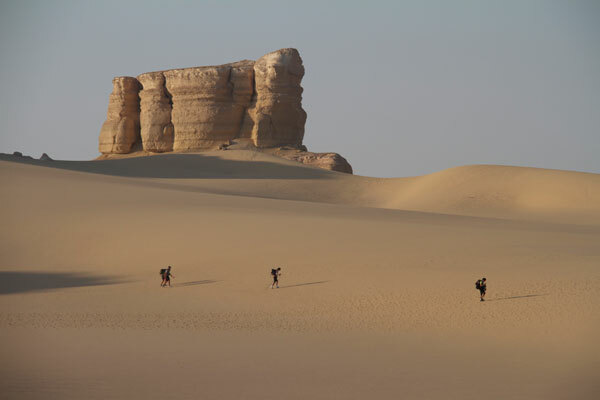 Any single race in the 4 Desert Ultramarathon Series is a life-threatening challenge. Desert Runners is a thrilling documentary about ordinary people who endure the 150-mile ultra-marathons through the world’s four most treacherous deserts in one year: the Atacama Desert in Chile, the Gobi Desert in China, the Sahara in Egypt, and Antarctica. Filled with physical and emotional highs and low, Jennifer Steinman’s film goes beyond the terrain to reveal the athletes’ personal obstacles and determination. This captivating story combines stunning scenery with an intimate view into the complex way human beings deal with heartbreak and triumph. Jennifer Steinman: Desert Runners follows the year-long adventure of a group of ordinary people (NOT professional runners) who decide to run the world’s most difficult desert ultramarathon race series—over 600 miles through the four harshest deserts on the planet. JS: In October of 2009, I went to a conference on health and nutrition, where one of the guest speakers was a funny, wacky Irish guy named Dave O’Brien. At this conference, Dave announced to the audience that at the age of 56 he had decided that he was going to attempt to run the 4 Deserts Ultramarathon Series—one of the most difficult endurance challenges in the world. I was initially drawn to this story because I am interested in the complex ways human beings deal with universal issues—taking on goals, pushing through barriers, making hard decisions, building friendships, failure, success, heartbreak, triumph—all of these are present in Desert Runners. I am not a runner myself, but I am fascinated by the mindset of these athletes and what it takes to complete a herculean challenge like this one. Out in the desert, all barriers are stripped away and people are at their most honest, authentic, vulnerable. It is brutal and it is beautiful, all at the same time. This movie must have been an endurance test not just for the subjects, but for the filmmakers as well. What can you tell us about the process of filming in the deserts? JS: People always ask me how I got a helicopter or a dolly and I have to laugh… The entire filmmaking “crew” was two people—me and the DP, Sevan Matossian—and it was just the two of us out there, hiking up sand dunes, hiding under rocks to avoid the sun, me holding on to Sevan’s leg while he hung out the window of a 4-wheel drive vehicle (which was usually driven by a local who spoke no English and had no idea where he was going). We lived in the same conditions as the runners—hauling all our own gear, sleeping on the ground in tents, eating freeze-dried food and using the same disgusting holes in the ground for bathrooms. They were long 7-day stints without a shower, and we worked from 5 or 6:00 am until after midnight most days. 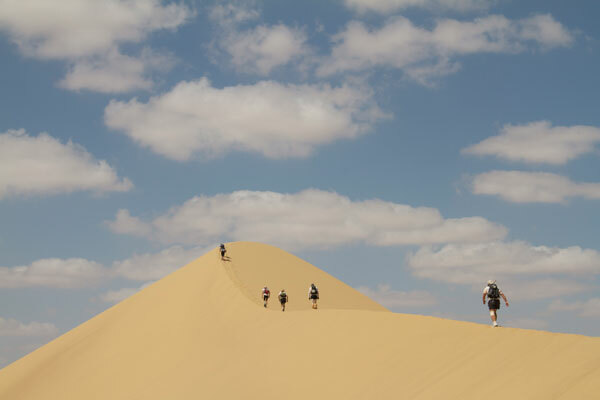 And then each desert provided its own set of additional challenges based on the terrain (Antarctica, for example, was a much different experience than the others). All in all, extremely challenging, but equally rewarding that we somehow managed to pull it off! And I was blessed to have Sevan with me, who is the ultimate adventurer and willing to climb to the top of any mountain in order to get the perfect shot. Your filmography seems to cross cultures and explore the world. What draws you to these themes? JS: Growing up, international travel was definitely not in our family budget, so the first time I ever left the country I was 20 years old; I definitely think I have an innate need to explore the world and make up for lost time. And I’d be lying if I didn’t admit that a huge part of the draw to make a particular movie is often my desire to travel to a particular place. As a kid in America, what was really ingrained in me culturally was the idea that “we are the best,” and that all other countries should want to follow us and learn to be more like us. I think I always felt the message was like, “The world is a football game,” and that we were always “the winning team.” But when I finally got out and started to explore the world as an adult, what I discovered was in fact just the opposite—I saw all the ways in which other countries and other cultures have so much to teach us. There are so many different, interesting, compelling ways in which people live all over the world, and I am drawn to discovering and learning from those differences. I think as an American filmmaker, I really desire to be part of a more “global community,” and I also really love to bring those stories back home. My films definitely aim to give people here a taste of what exists beyond our borders, and all the rich lessons there are for us to incorporate from other parts of the world. JS: While this is a movie about running, I think it’s really about so much more—it’s ultimately about human beings, how we deal with challenges, heartbreak and triumph, and about the mindset necessary for people to complete “impossible” goals. I really hope people are touched by the journey these amazing people took, and learn something or are inspired by their process and tenacity—which I think can be applied to everything in life, not just running. And I really hope everyone has fun watching the film and feels satisfactorily entertained! JS: My biggest piece of advice: Make the movie. Don’t wait for anyone else to help you, to give you money, to teach you something you think you need to know first—just go out and shoot something. No first film happens any other way. JS: The Hamptons has such a fantastic reputation for showing so many amazing films; we are honored to be a part of it. I’m looking forward to sharing the film with people, and especially to watching a lot of other really great movies from around the world. 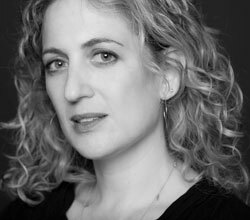 Co-founder of the film production company Smush Media, Jennifer Steinman has over 18 years of experience in television and filmmaking. She began her career as a staff editor at CBS, both in New York and San Francisco. Her work has aired nationally on ABC, PBS, Discovery, Sundance, and many other television networks. Her films have been accepted into many major film festivals, including SXSW, Rotterdam, and Sundance. Steinman won a Telly Award and has been nominated for an Emmy Award for Outstanding Achievement in Editing. Most recently, Steinman directed, produced and edited the feature-length documentary film Motherland, which had its world premiere at the South by Southwest (SXSW) Film Festival, winning the prestigious Emerging Visions Audience Award. The film went on to win several other best-of-festival awards and was released by Vanguard Cinema.